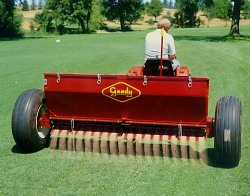 12' Spreader w/36 openings - capacity 1200#. Wheel tread 158" (with wheels 'dished' in). For fertilizer, lime, granular chemicals & seed.